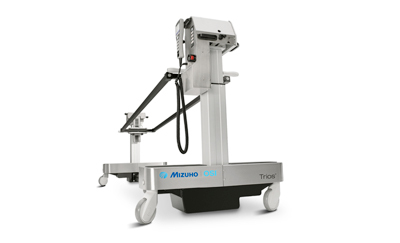 The Mizuho OSI 5875 Montreal Lateral Positioning Device provides secure and adjustable positioning for surgical procedures in the lateral position. Width and height of posts are adjustable. The patient is held securely between three adjustable posts that slide medially/laterally to accommodate various patient sizes. 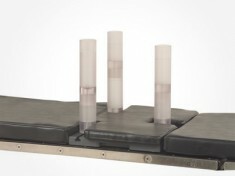 Simply position the posts anywhere along the precut channel of the base and twist to secure firmly in place. Post extensions are available to increase height for larger patients. 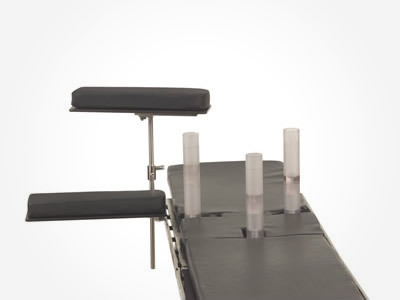 The Montreal Lateral Positioning Device comes standard with the Adjustable Base Platform, two 5” Locking Posts, one 7” Locking Post, 5 Post Extensions, a 3-piece Pad Set and Disposable Foam Tubing to protect the patient. 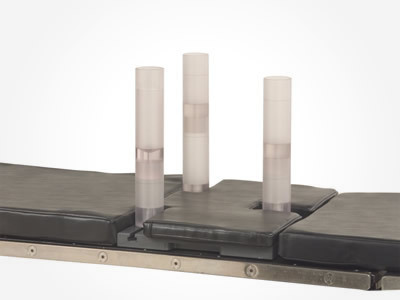 Fits on virtually any general surgical table. Posts are made from strong clear polycarbonate.